While on vacation in May, I did lots of running. 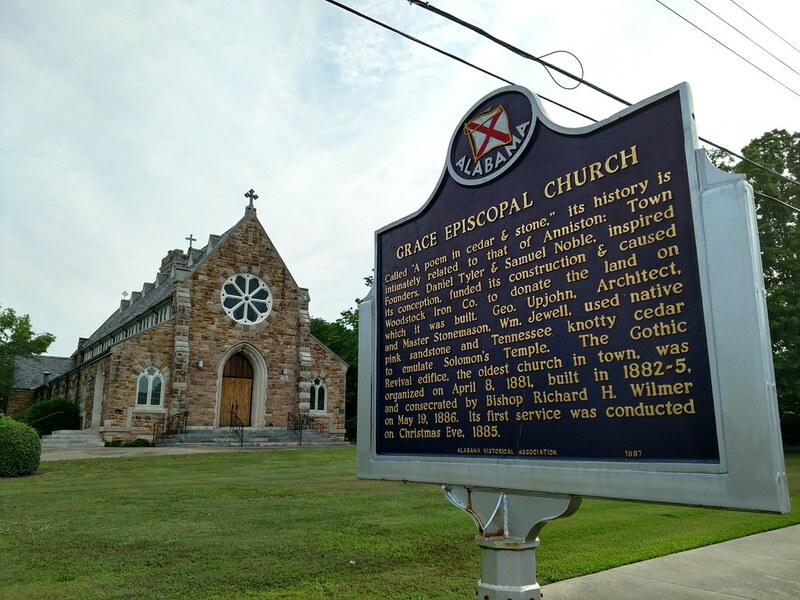 Here are some of the best things I saw in Anniston and Oxford, Alabama. This is such a beautiful, historic building. 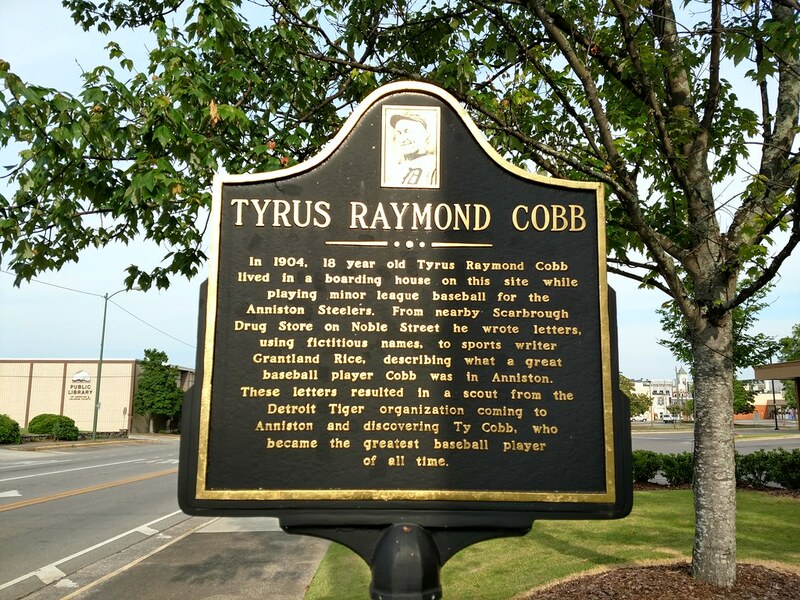 Ty Cobb spent some time in Anniston. I’m sure some folks will dispute the “greatest baseball player of all time” designation, but he was definitely very good. 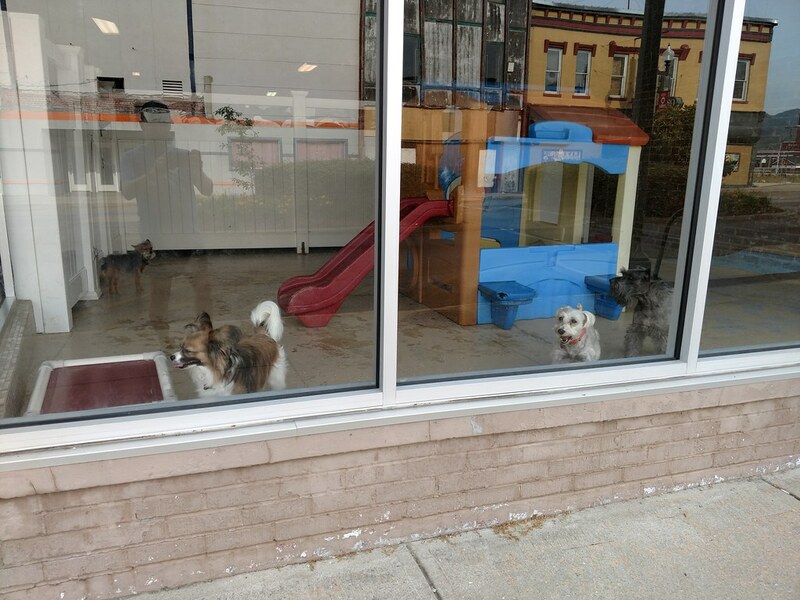 The dogs hanging out at Piper’s Playhouse were very happy to say hello when I ran by. And when I stopped. And probably any other time. 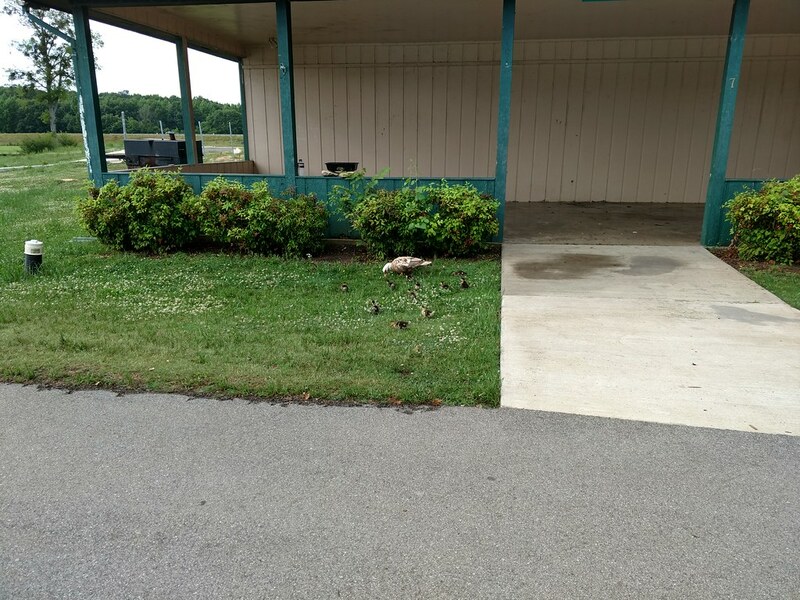 There are so many ducklings here! 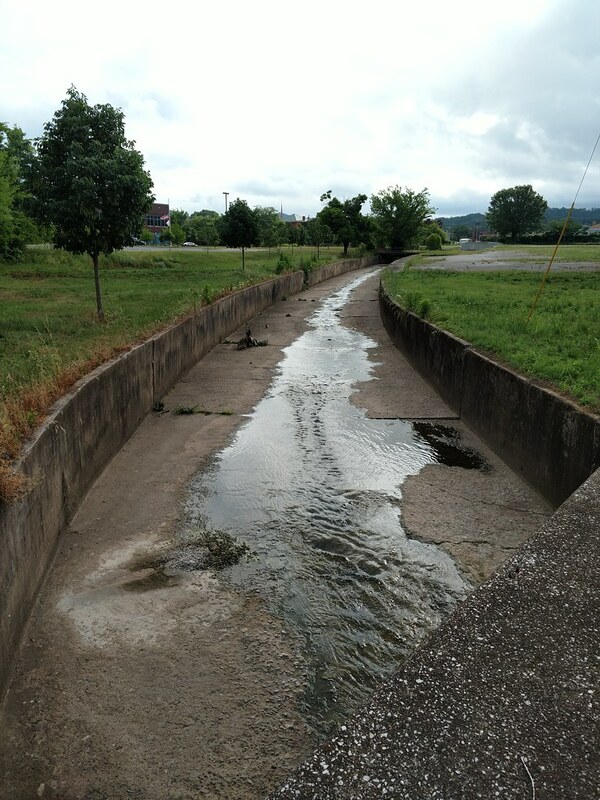 I lived in Calhoun County for many years, but I had never before seen this creek, or drain, or whatever it is.